Well here I am as promised with some information about some of my lovely Lilac Ladies and Gents. 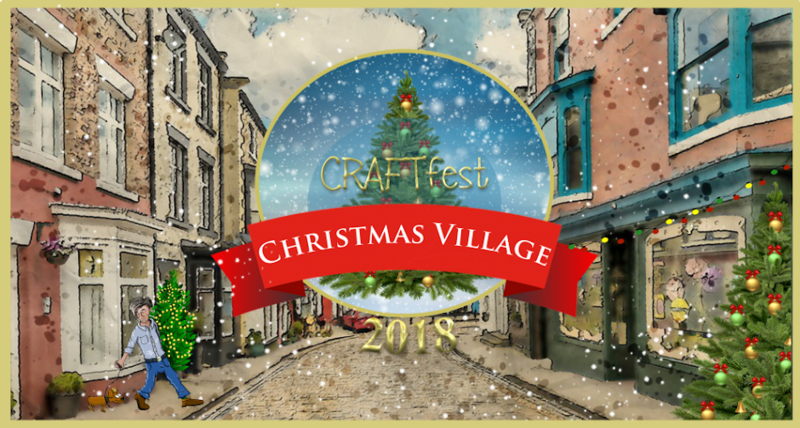 We all have stalls at CRAFTfest which starts on 10th March and runs for a full week; if you have missed the booking deadline don't worry there will be another one in June. Take a look at some of the wonderful stalls and people that are in the Lilac group. Inspired by vintage and antique toys, I design and make animals and dolls which I stitch on a beautiful 1920's Singer treadle sewing machine. 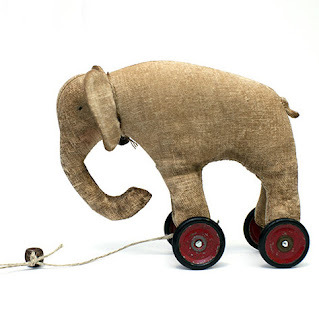 I use old Meccano wheels, vintage ribbons and buttons, traditional German glass eyes and rusty bells in my work, which adds to the vintage charm of each animal. Hello!! 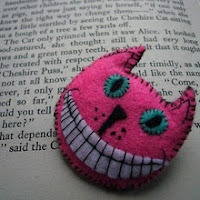 My name is Rebecca and I am a designer/maker based in York. Working mainly in enamels I create fun, quirky pieces to brighten your day! Days out, picnics, trips to the seaside... I take my inspiration from simple, everyday pleasures producing a collection of mixed media works using a range of materials, enamels, wood, metal and found objects... the use of stencils and naive, hand drawn illustrations add character and humour to each decorative piece. 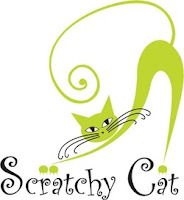 If you're a cat owner or just a cat lover then All Things Blankets & More is the stall for you. 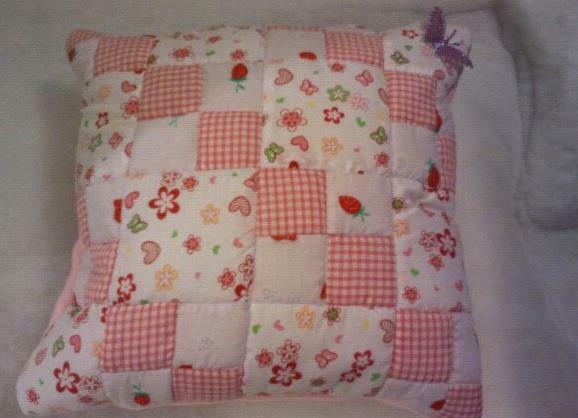 I sell cat beds, cushions, blankets & throws all individually handmade by myself; many of which can be personalised and are all tested and approved by myself or my 4 kitties. I have a few new product lines planned for 2012 but I am more than happy to accept custom orders. 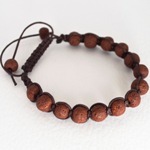 I create handmade tribal jewellery for both men and women. I use handmade clay beads, which I make myself, and team them up with a range of ethically sourced and unique wooden,bone and horn beads to create unusual and interesting bracelets and necklaces. The Lionheart Stationers come to share with you the whimsicality of hand drawn stationery and the vibration of personal touch. Our aim is to add excitement to your correspondence, animating words through images. We want to offer an alternative to the computerised world we’re living in, in which paper and pen have been replaced with texts, emails and status updates. We are here for those who still think that a written sentiment seems to convey something more then just a brief email that we regularly send and receive. 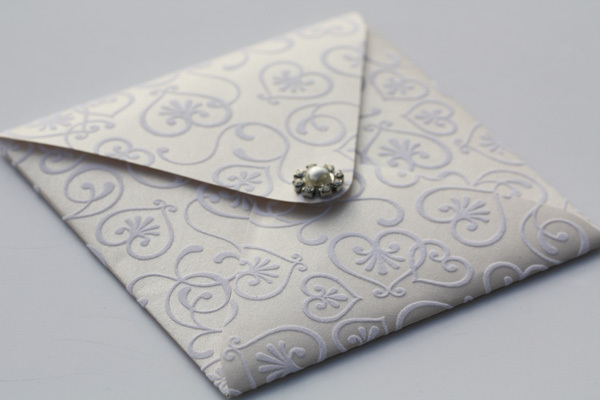 Our products are created to warm the heart and show someone in writing that you took your time to think about them. We do anything from thank you notes to birth announcements, christening invites to party invites, save the date or correspondence cards. Everything can personalised and one thing we love is having commissioned artwork. My aim is to bring you high quality handmade jewellery that is affordable, elegant and completely unique. Everything you see is made by me and based on my own designs. Dottie Designs makes personalised Keepsake Boxes, Photo Albums and Guest Books for all occasions. I like to work with the customer to ensure that they have the perfect gift and will match colour schemes to Wedding colours, or the colour of a Prom Dress. 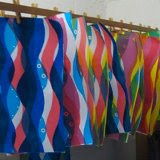 I work from my sea-side studio in Hampshire and am very lucky that I am able to pursue what was my hobby as a business. My name is Suzanne and I own Chasing Beads. 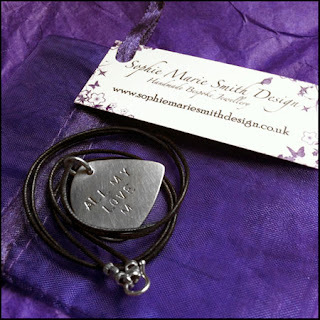 I design and sell jewellery at various events as well as my website (and not forgetting Facebook/Twitter). I specialise in beaded jewellery as well as teaching various age groups how to make jewellery at home parties and local venues. Handmade bags for all occasions. 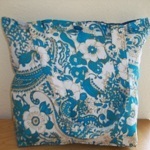 The stall has a range of different types of bags, made from new fabrics, unless otherwise stated. i like to make bags from a wide variety of fabrics and tend to go for bright and bold, but I am toning down my choices in response to feedback received!! I also make bags to order. Over the last two years Designs by Jojo has concentrated on designing a luxury wedding invitation range, a range of greeting cards, party invitations, sourced some gorgeous favours and started making a contemporary jewellery range - so quite a busy time juggling with two children in tow! Designs by Jojo is inspired by rich, vibrant colour, textured paper, nature, everything that glistens and especially sparkles and hopes that you will enjoy looking through the range of products available or if you have something more specific in mind, please don't hesitate to email me as bespoke designs are my speciality! 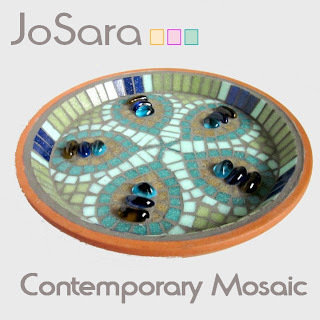 Contemporary Mosaic for the Home and Garden. I love to create colour palettes and pattern, and I love to create things for wildlife and the garden, as well as the home. I use mosaic because the tiles are frost proof and fade-resistant, which is perfect. I hope you like the end results. it`s crochet that`s my real passion. watercolours and really enjoy it. 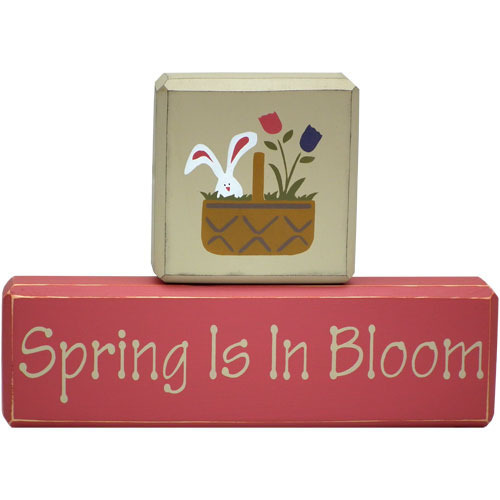 Add a touch of vintage style charm to your home with our carefully crafted items. We specialise in shelf blocks, wooden signs, bunting and Primitive style products. They are all made in our studio with a great deal of attention to detail, ensuring a quality item for your shabby chic country style home. Colour options are available from our website. Our products have been seen in numerous national publications including Country Living, Bella, Daily Express, Sunday Express and Sunday Mirror; and we are also a BBC Dragon Theo Paphitis’ Twitter Small Business Sunday winner. My passion has always been creating unique and gorgeous items from many different patterns, textures and colours of fabric. I love to create in fabric. 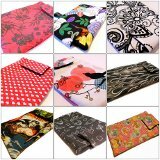 I love to use eye catching fabrics and I can assure you that I never make the same bag in the same fabric twice - your bag will be unique to you and you alone. All my items are handmade, by me in my home based studio, in a smoke and pet free environment. Please be assured that customer satisfaction and attention to detail are my top priorities. 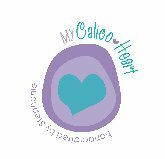 Sparkling Rhinos are a creative business selling hand-made gifts and items from their own creative minds and those of some very special other crafters! We love working with wood, ceramic and porcelain to bring our imagination out into the world! Sparkling Rhinos are based in the UK and we look forward to seeing you all during Craftfest. 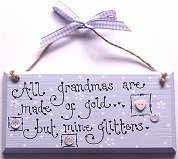 You can find all of our hand-made gifts on our Facebook page and a selection on our website. All of our products can be personalised with different colours, decorations and names/sayings. Just let us know what you would like!!! Our Collections are Retro-Vintage inspired. We love timeless Vintage-Style fabrics and Funky Retro Prints. We create beautiful A-line and Westwood-inspired girls' dresses, unique RaRa skirts, Pretty Corsage Tops, Bejewelled Winter Skirts, Hand-Tied Tutus and Gorgeous Retro Floral Dresses. Whilst our OOAK 'Applique Tie' Tees are firm favourites for the Boys and make great Presents. We create extra-special Gifts such as handcrafted Velvet Booties, hobby horses and pretty Girls' Tulle Bow Party Headbands. 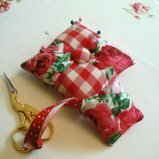 As well as Accessories including Mitten Clips, Dummy Clips, Bibs & Scarves. Welcome to my handmade world - mainly crochet goods for home and yourself: scarves, cafetiere and teapot covers, coasters, table mats, wire napkin rings and bracelets, and cute animals to use as pin cushions, desk ornaments or to carry around! My inspiration is the sea and the shapes of creatures (animal and vegetable) found there. With a natural flair to be creative, all my work is unique and quirky. My aim is for all items made to have the " Wow! where did you get that from?" factor! 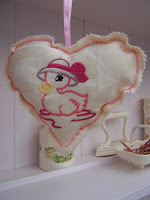 With a girly yet kitsch look - i hand make my items to suit all occasions. Made with lots of love and huggles especially for you and yours. KEEP CALM AND CRAFT ON! Welcome to Simply Soaperior, luxury gift store. If Looking for Luxury gifts for birthdays or that special occassion then simply soaperior will have the fun gift for you. 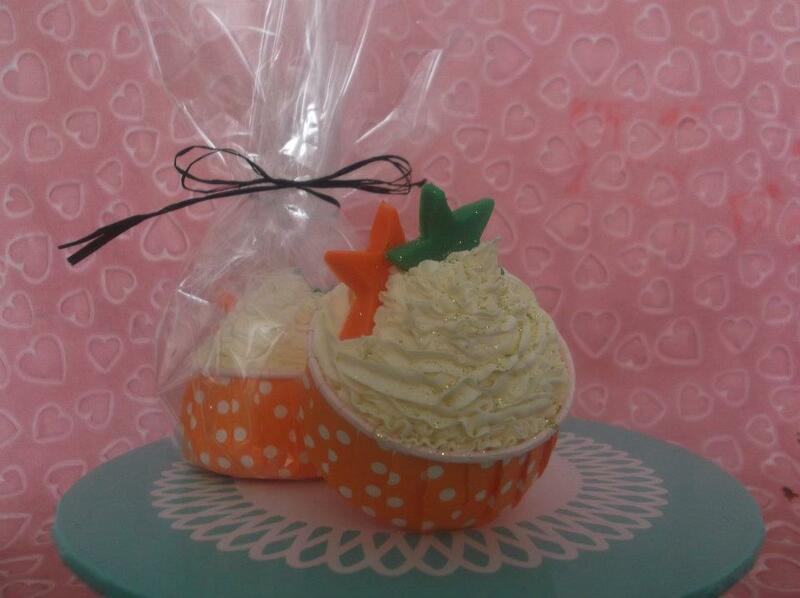 Why not treat special ones or indulge yourself to some of our handmade soaps or body massage bar. The cupcakes look like you could eat them, with out the calories! 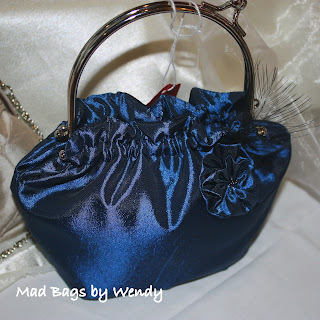 I make gorgeous bags from recycled materials and sometimes new. I have made a selection of handbags shoulder bags and totes. Welcome to Crafts from the Heath, where you will find a selection of handmade gifts & home accessories, something for everyone. All finished with loving care & attention to detail, made using lovely fabrics, felt, wool & wood. Personalised photo badges, keyrings, magnets & mirrors.Ideal for presents, special occasions & promotions. Unique personalised photo gifts for new babies, christenings, birthdays, engagements, weddings, anniversaries, hen/stag nights, your own art work, promotions, or fund raising events. Fresh as a Daisy Cards, an online greeting card company that translate your sentiments onto something truly special. A gift that is also a greeting card, combine with fresh flowers which will create something truly special for all occasions. Tea with Martha - handcrafted textiles made with love in the heart of Yorkshire. Are you looking for something different? something unique? something you won't find in the shops? 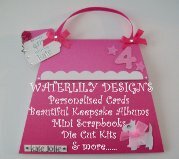 Here at Waterlily cards we make unique cards for all occasions, whether it be something for Birthdays, New Baby, Anniversary, Wedding, Engagement, Retirement, 1st Communion, Christening, Xmas - whatever the occasion we can make a custom made card just for you. All cards can be personalised with any name/age/relation - We have handbag shape cards, car face cards, cards with beautiful bouquets embellished with feathers, beads & diamontes, name cards, for the men car/golf/fishing themes and much more..
Handcrafted and Personalised Wall Letters, Door Plaques, Coat Hangers, Pet lead Hangers & gifts. All my items can be done to any colour and design. Hmmm, we thought, really we should share the love ... our fascination with the good bakey stuff was, we decided, a thing we should share. So SpellBinding Artisan Baking was born. So you want amazingly flavoured home made bread? Know a bit about baking (or how to switch your bread machine on) but don't have the time/inclination to source your own ingredients??? Maybe you're looking for a reasonably priced gift for a foodie. SpellBindings Artisan Bread Mixes could be just for you. All our breads are based on tradional French recipes with flavourings inspired by French recipes. 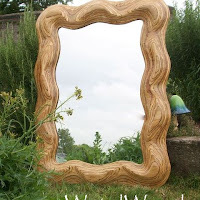 WeirdWood for funky mirrors, Bowls and unique hand sculpted furniture. Here at WeirdWood we strive to produce Funky, Offbeat products predominantly from plywood. The majority of the materials we use are reclaimed, lessening the impact on our environment by keeping them out of landfill sites. 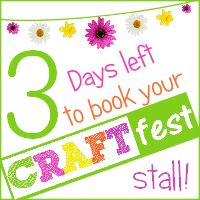 There are now only 3 days left to book your stall at CRAFTfest! That's it, only 3 days left, then booking are closed. We are sorry, but we cannot except stalls after the closing deadline. We currently have 130 stalls book, so plenty of room to get your booking in. We are especially looking for craft suppliers, handmade food, and wedding gifts/jewellery/stationary. 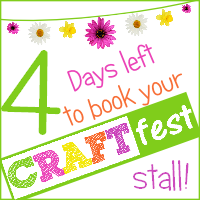 There are now only 4 days left to book your stall at CRAFTfest! There are only 4 days left to book your CRAFTfest stall. 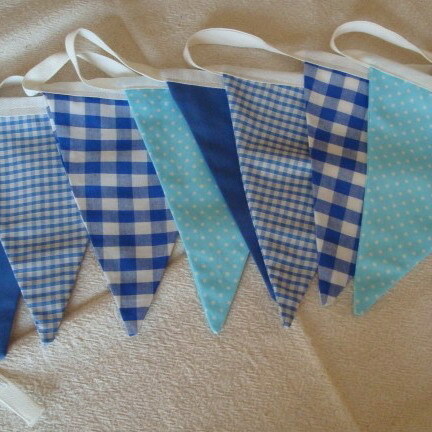 Do you have a stall and think that one of your crafty pals might like to join us too? Let them know! We all know going shopping with the girls is better than wandering the stores alone, so bring them along to have a stall with you! Use the share buttons under this post to spread the word. Introducing my stand for March's Craftfest Fair. I specialise in fused glass work creating many different items each item is completely unique. When making the items each piece of glass is individually hand cut and designed by Me, Ann Noble from my Hampshire based studio. The depth and vibrancy of colour achieved with this glass is exquisite. Just take a look. 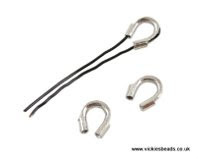 The jewellery range includes: pendants, earrings, bracelets and cuff links. You will also find fused glass art, glass sun catchers and glass coasters among the products available. I am also very happy to create a special piece just for you. 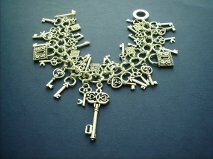 I started making jewellery in mid-December 2011. Prior to that I'd never picked up anything jewellery wise that didn't come from a mass production shop. A friend of mine introduced me and I've never looked back. I adore working with wire, and would love to study to become a silver smith. I've never felt so at peace as when I make jewellery. This is my first CRAFTfest, and I'm nervous but looking forward to the feedback. My page/business name comes from the fact that I love Bears. They are one of the planet's most amazing creatures. Oso is Spanish for bear and I strive for perfection. 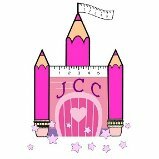 Welcome to my little corner of the web where you will find handcrafted jewellery and maybe a few other crafty little bits. 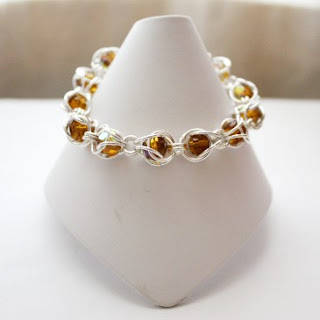 I love to design and make classic, timeless handmade jewellery with Sterling Silver and quality Swarovski crystals and other fine gems and beads. Most of my jewellery would be suitable for Brides, for Prom, for that special occasion or just to tell someone you love them. Our cutesie cake pops and bite-size balls are made from beautiful, moist cake blended with delicious frosting and coated in yummy chocolate. Named as the 'new cupcake' cake pops and cake balls make unique gifts, favours and are a contemporary alternative to any celebration cake. Petite Cake Balls is a nationwide bespoke service offering cake balls and cake pops in an extensive range of flavours, personalised to complement any event. Lemur Lady is all about quality handmade goods made from unusual fabrics - funky, gothic, retro, cartoony, childish and just plain awesome. Life's too short for chintz. Here you'll find bags, purses, gadget covers and more, all designed to make you stand out from the crowd. If you don't see what you like, feel free to contact me and arrange a custom order - I love a challenge! Cute accessories for babies and children. Items can be personalised free of charge, unless otherwise stated. 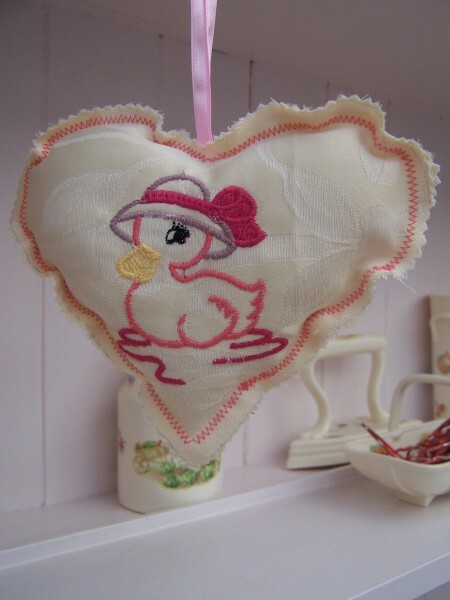 Teddy Bears, Keyrings, Bunting and more...Gorgeous little extras to finish a room or that perfect gift. Jellybean Jewellery is a collection of fun colourful everyday jewellery which can be worn on any occasion. The styles and colours vary depending on my mood and current inspirations! I like to use a variety of different materials including glass, wire and polymer clay as well as some upcycled items and combine them in a way which makes them individual. Our stall will be selling handmade cross-stitched greetings cards, from birthdays to new homes, new babies to thank you cards. We cross-stitched onto fabric and then put these into the cards to make each one personal and unique. We have introduced personalisation to our website recently and are happy to add a personal touch to any of our cards. 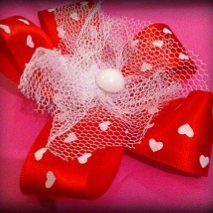 I make a wide range of Handmade Costume Jewellery, Bag Charms & Bridal Jewellery. I have specially designed pieces of Jewellery & Bag Charms for 'Mother's Day' lovely in-expensive Gift Ideas which have been handmade with love. I'm based in Harlech in north west Wales, famous for its castle and beautiful costal location. I love living here and creating lovely things in my little workroom. 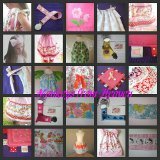 I design and make bags, cushions, aprons and quirky little household items.I use applique and machine embroidery to personalise and customise items. 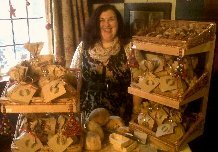 I sell at craft fairs and events in north Wales and north west England, and, of course, online. Angels-23 Crafty Hideout is where I make beautiful handcrafted cards, wedding stationary and other paper crafts. These can be personalised to your needs or browse a selection of cards I have in my gallery. If you see one you'd like personal sentiments/inserts can be added to these on request. Please don't hesitate to contact me for any questions you may have. Come an join us at the March Online Craftfest. Here are a few more of the talented crafters that will be selling at the Creative Connections Spring CRAFTfest.. I strive to provide quality New Age and Metaphysical Supplies. My two most popular products are my gemstones and candles.I make a variety of candles - votives and beeswax chimes of many scents and colors. My name's Natasha and I set up Jeeberella's Craft Castle on Valentine's day 2011. I live in a little flat with my other half in Stoke On Trent, don't have any children but adore my 2 godchildren. The castle is all about personalisation all my products can be personalised and tailored to whatever the customer requires. 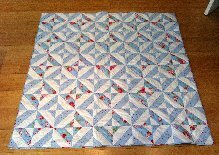 I absolutely love to sew.....my darling nanny taught me at a young age how to sew and knit, but it's sewing that I love most. I make quilts, throws, cushions, home wares and bags and always have lots of ideas buzzing round in my head......the only trouble I have is finding enough hours in the day to do everything I want. I have a bit of a love affair with fabric.....I love stroking it, ironing it, folding it, sewing with it......lets be honest I just love to be surrounded by fabric. I create my original designs for greetings cards and wrapping paper. I use the printed papers to covers handstitched and bound books in various styles and sizes for all sorts of purposes. Silkscreen prints are created by laying down each colour separately on precisely the right spot. The inks can be opaque, translucent or even metallic and create multiple effects as the layers are overlayed. Hello & welcome to an Altered Era! My name is Paula McKay & I am an Edinburgh born Scottish lass, born & bred, who now lives in the Lovely Lake District in England, UK. I'm a working Mum, with lovely children & fabulous Hubby. I have had a passion since childhood for fossils & gemstones & have been collecting for many years. 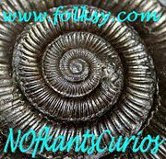 As a family we go on fossil hunting expeditions, but there is only so much you can keep for yourself, so crafting with fossils and gemstones is a real treat! 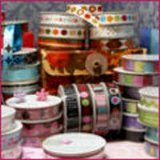 D.R.J Crafts provides beautiful hand-made cards and crafts. My aim is to provide high quality service and create high levels of customer satisfaction.